Skip the Mall, Santa’s setting up at Rowan’s. 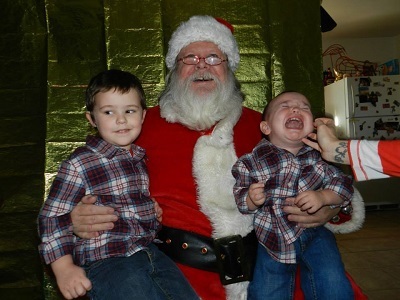 Need some fun Holiday photos, but don’t want to brave the masses? How about you swing on by Dec 14th, 1-3pm at my place to get the kids or yours picture made with Santa? And what kind of Santa are we talking about? Santa with a sense of humor. So bring your Phone or Camera, ’cause we are rolling DIY, and a little something to sling in Santa’s tip jar.< These pics are gonna be epic, EPIC! See you SOON! Xoxoxooxox Rowan P.S. : We will be selling hoops and stuff. I originally had this as a hoop event, until Christina told me that there is already a massive line at the Galleria, and that was before Thanksgiving. And Mims told me she was gonna poke her eye out if she had to take all three of her kids to the mall. So everyone is welcome! https://urbancurandera.com/wp-content/uploads/2016/06/1535745_10202831575776995_1613096603_n.jpg 300 400 twosisters https://urbancurandera.com/wp-content/uploads/2016/05/logo-text-top-the-healer-transparent.png twosisters2014-12-14 00:00:002016-06-03 20:36:48Skip the Mall, Santa’s setting up at Rowan’s. Gift The Giver Party down in RowanTown!